At our members meeting in June, we decided that we would blend our two services into one, and that begins this weekend. Sunday school for all ages will go from 9:30 to 10:15, and then our church service starts at 10:30. 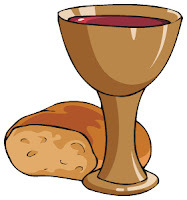 It seemed fitting that in our first combined service together we should partake in the Lord's Supper. Prepare your hearts as we come to the Lord's table, remembering the sacrifice of Jesus Christ that reconciled us to God and to God's people. This Sunday, we will continue in our series looking at Romans 2:17-3:8. But we will also be considering yesterday's Supreme Court decision to legalize gay marriage nation-wide and what this means for the church. While proponents have said this attempt to redefine marriage will not hurt anyone, we've already been given evidence as to how that's not true. This affects the whole family. Join us as we study the word of God together and lift up our nation in prayer. This will be our last Sunday for split services. The first service is at 8:30, Sunday school will be at 9:45, and second service at 11:00. Next week, we will move to one combined service. Pastor Gabe wrapped up a three-week study this morning preaching a sermon entitled Without Excuse (Part 3). Often times we reference Romans 1:20 as evidence of God's existence. But there are actually 5 things that are "clearly seen" according to the text in Romans 1:18-32. Even if you hadn't listened to the previous two parts, Gabe summarizes those sermons in this one. Click the play button to listen, or download the sermon to listen to later. More copies of Pastor Gabe's book, 40 of the Most Popular Bible Verses (and What They Really Mean!) are back on the front table in our foyer. They are $10 each. (If you buy them online, through the link on the right, they're $11.99 plus shipping.) The book is also at Christian Books and Gifts in Manhattan. We still have copies of other books containing excellent study material, including Jen Wilkin's Women of the Word as well as Matt Chandler, John Piper, and Mark Dever, all for $12 each. For the first time in its 60 year history, First Southern Baptist Church now has a plurality of elders! 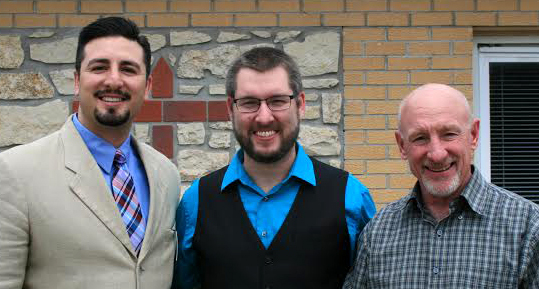 David Bliesner and Chris Solano join Pastor Gabe in overseeing the spiritual needs of the church. The two candidates were appointed to their positions at yesterday's members meeting. They will be inducted before the congregation at a later date. You can read more about Dave and Chris on our Staff page. Congrats also to our new deacon appointment, Adam Bliesner. Following our second service today, we'll be gathering downstairs in the fellowship hall for a big potluck meal! Bring whatever dish you can contribute, and then join us for some good Southern Baptist dishes. If you're checking the website this morning and didn't know we were having a potluck, that's alright! Stick around and eat with us anyway. After the meal, we'll move into the sanctuary for our members meeting, voting on the appointment of elders, a new deacon, our budget for the fiscal year, and we'll talk about whether or not to combine our first and second services. Lots going on today! Pastor Gabe will be preaching from Romans 1:18-32. Saturday, June 6 is our next men's breakfast! We'll meet at 9:00am in the fellowship hall. Park around back and enter through the white double doors. Breakfast is free!